As you may be aware, it has become almost impossible to find a Rover SD1 (LT77) 5-speed transmission in good condition, in fact we have found it almost impossible to find them even in 'reconditionable condition'. Therefore, if we have an LT77 'used' for sale, it's spares or repair only, even if in seemingly very good order, such is our lack of confidence in these older transmissions for modern application/use. 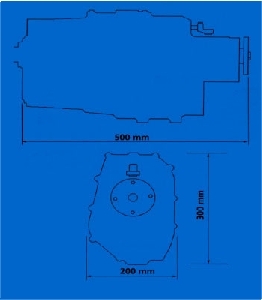 The MoD (Ministry of Defence) continued to use this same gearbox in its Freight Rovers, and the ones they used are the D, E, F and G suffix. These are all the late-date very strong ones with larger bearings and shafts etc. The latest box as used in the Rover SD1 saloon Car was the 'D' suffix, so these later boxes are difficult to come by and are not guaranteed to be much better. For this reason we now only supply the newer R380 transmission as used in the Morgan Plus 8 and MG Rv8 models, it is a direct replacement and almost identical externally, so is a very simple upgrade. Since the production of the R380 gearbox stopped we have now developed a bell housing and concentric clutch kit that works in conjunction with the T5 gearbox. As used by Nigel Dean in his 2009 Dax Rush Kit Car build and the NG 4.6 litre conversion carried out in our workshop. For more information on the T5 gearbox visit the V8Wizard here. Both of the above projects can be seen in our photo gallery here. All the Many Kit car manufactured types & Custom Vehicles utilizing the Rover V8 Engine. Remote length measured from face (shown by arrow) to gear lever centre 24mm. Take advantage of this great special offer. Once a rarity, we can now offer brand new Clutch/Flywheel combinations as fully balanced kits to enhance any engine rebuild. 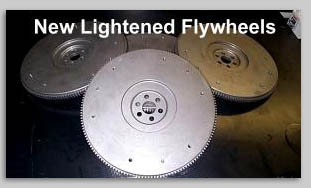 What's more we can even lighten the flywheel in three stages to suit all individual needs. 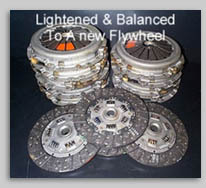 Other higher performance Clutch Kits are available, please ask. Please note this information is for the 2WD LT77 not the 4WD version. Excessive back lash (Clunking) This is caused by the free play (excessive tolerance) on the meshing of various components within the transmission and is normally most severe with 'layshaft' and 'Input shaft' configurations. It can also be noticed in the output flange, due to spline wear. Notchy & Difficult gear change (especially first thing in cold weather) Worn selectors and synchros caused by excessive contamination in the transmission or incorrect Oil Type. The LT77 should be used with Castrol SMX or Similar lightweight Transmission Oils. Although annoying, this problem is normally only during the warm up period of the transmission. Whining or Growling in forward gears This is normally noticed in all gears except 4th which will remain quiet because it is the only gear that is 'Straight through'. All other gears make use of the layshaft, and as the bearing damage problem is normally in the layshaft area, the 4th gear will be the only quiet gear to select. A good indicator that things need attention. Total failure of transmission This is not normally caused (excepting the many race applications) by any weakness in the std. transmission itself, indeed, all the LT77 and R380 transmissions are suitably strong and capable of coping with power up to 300Bhp. However, any transmission cannot be expected to survive long (or at all) if it is in less than excellent condition. What did Rover do to help? As this gearbox evolved, Rover made a few modifications, none of which cured the problems. The 'D' suffix box is by far the strongest, but as strength was not the problem this seemed a little inappropriate to us. Also, they changed their mind three times as to what Transmission Oil to use. In the first instance it was [I believe] EP80 (or perhaps 90) but this transmission oil is very thick when cold and did not allow easy selection of 2nd or 3rd gear until the transmission was warmer. The second recommendation was Castrol TQF. This was far better for the gear changes, however, as it is an auto transmission fluid some problems were encountered with its lubrication qualities and many gearboxes failed. The third recommendation (and I have heard of none since) was to use Castrol SMX, although I believe this is, in fact, still an auto fluid, it is a synthetic fluid. We have been recommending this ourselves over the past 7 or 8 years and I have had no bad findings on its use. All the problems with used transmissions stem from the same area. The input shaft of the Rover 5-speed is held into the front casing of the transmission and is mounted using a 'Tapered Roller bearing'. This bearing's tolerance is 'pre-set' in the factory with shims of varying thickness and offers no simple adjustments for servicing etc. After examining many hundreds of used 5-speed transmissions at 70 thousand miles or more, we always note that the input shaft has become slack within the front cover and its alignment is seriously affected with regards to the meshing with the layshaft. If caught early enough and you strip out the transmission completely, it is possible to fit new shims to the correct tolerance, and the transmission will be happy to go on for many more miles. However, as no one normally does this to a transmission, almost all of the used ones will have this allignment problem that will lead to the other common problems mentioned. As the alignment suffers further, the input shaft and layshaft alignment become very sloppy. This will cause wear of the input shaft and layshaft teeth (I have seen many a Layshaft with the teeth stripped to an almost perfect sphere). The resultant swarf, wastes no time in reducing the oil pump (fibre teeth) to little use, and this further causes wear to the selectors and synchros, not to mention the other bearings etc. Having supplied many reconditioned units in the past, we developed a replacement for this taper bearing, using a heavy duty non-tapered one. This can be fitted with very little fuss and ensures a more precise allignment for many many thousands of miles. Trade enquiries welcome. We can offer the best trade prices around, Just Ask. Trade enquiries accepted from any registered business in connection with the appropriate trade and minimum quantity orders may apply.